Eight features under consideration for the new “green” Salt Lake City Public Safety Building. 8. 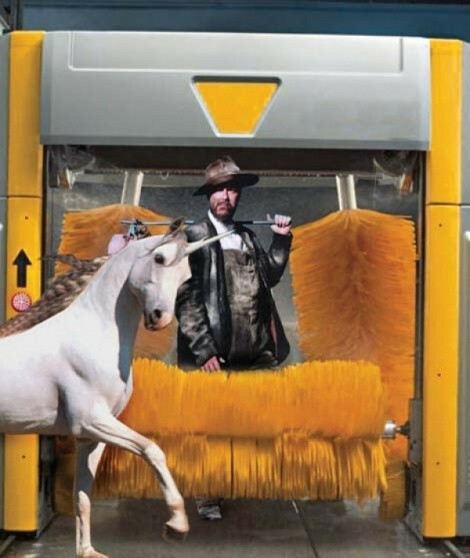 Recycling unicorn watering trough/automated hobo wash ‘n’ fluff. 7. Ironic un-anchored bike racks for fixed-gear hipsters. 6. Police and firefighter museums; a display for OCP’s new RoboCop program. 4. A combination Apple Genius Bar/Whole Foods/gun-repair shop. 3. Solar-powered tanning beds and wind-powered hand dryers. 2. Lighting that shuts off when natural light is available, Pabst Blue Ribbon when Natural Light is unavailable. 1. Newspaper racks for all local publications that don’t feature lists mocking Mayor Ralph Becker.